The best resize tool in the world. Don't let anyone fool you! 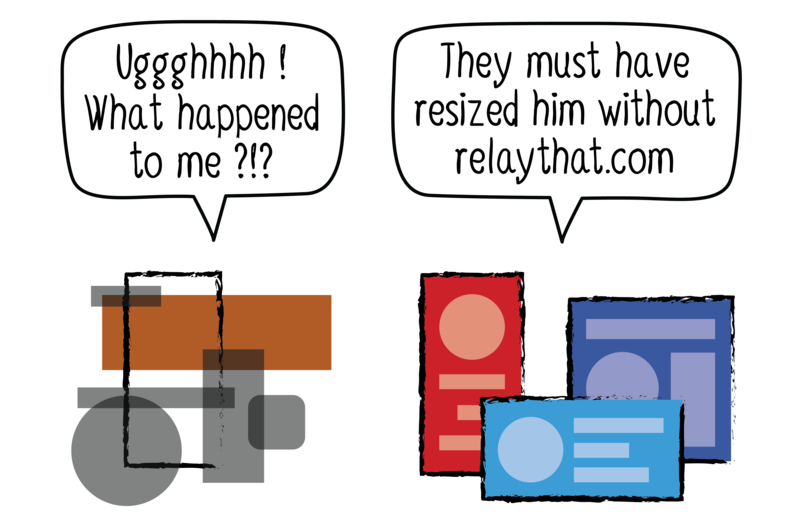 RelayThat is the ONLY application on the market that resizes complex designs for every channel in a single click... with zero additional tweaking. Just upload a logo, some text, brand colors, and an image, and RelayThat instantly spits out thousands of designs in every size and format imaginable.